Alpha Cook: Alpha Cook Turns One! 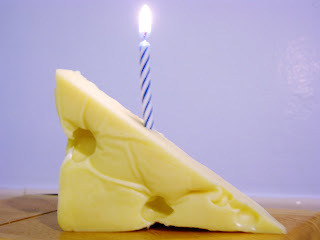 Today is officially the one year anniversary of your all-time favorite food blog, Alpha Cook. This is also post #100 in case you are counting. (I personally think sloth can be a virtue.) Finally I have found an activity that can hold my flea-sized attention span for more than a few months! Of course, the occasional pestering from a certain spouse and friends never hurts either. I have “big plans” for the upcoming year: more booze, book reviews, local interest, a lot more sarcasm and maybe even a little gardening. Over the summer you can look forward to plenty of grilling, cold beer, and homemade condiments. In the next few months I’ll be working my way through a few old reprinted cocktail books and trying out some (many?) of the recipes. Aren’t you excited? Just nod your head and keep going for this year’s highlights. Thanks for reading, now let’s go have some celebratory whiskey.